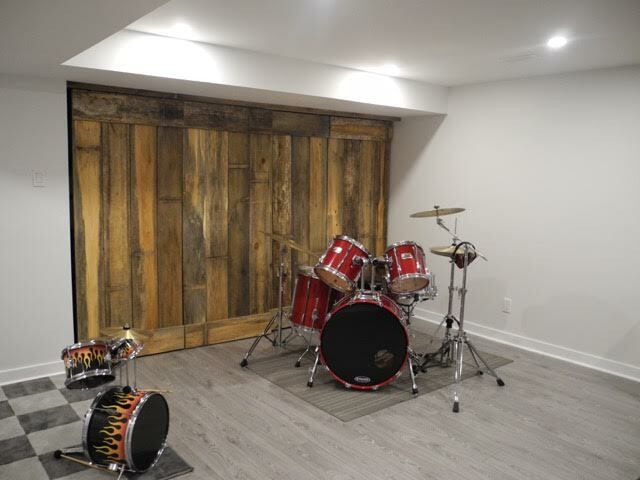 Sue and Benoit wanted their renovated basement to include an office and family area, which would include a music area. 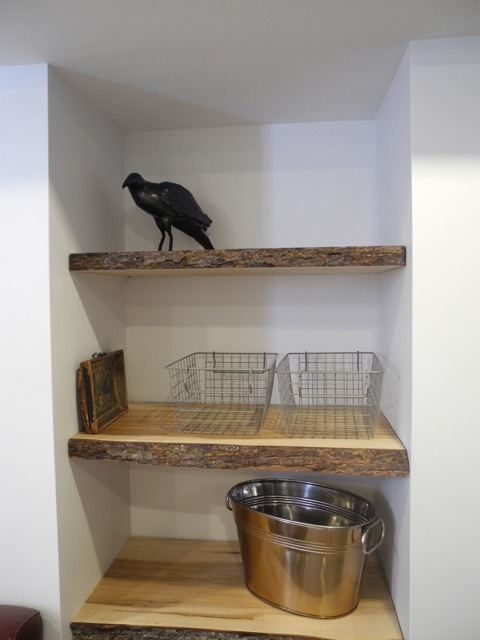 They are also big fans of barn board and live-edge wood, which we were able to use throughout the space. 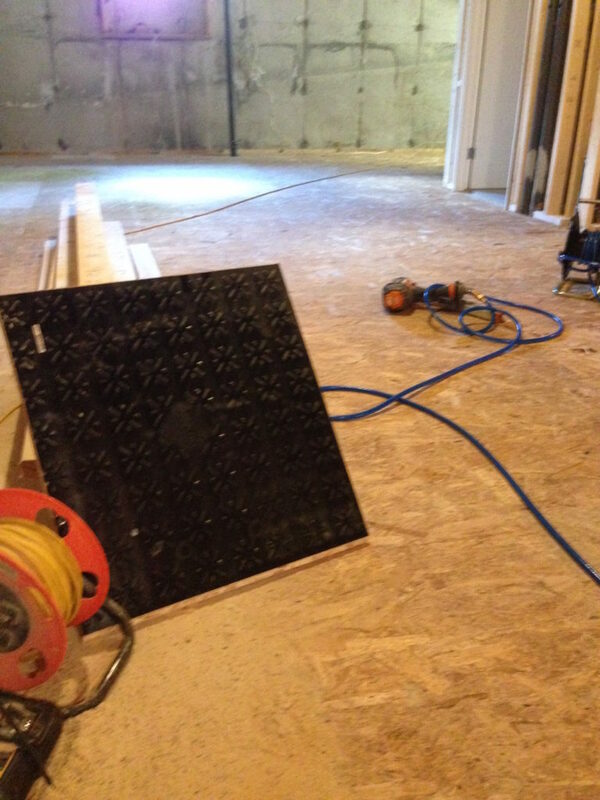 Day 1: Dricore laid on entire 600 sq ft floor. 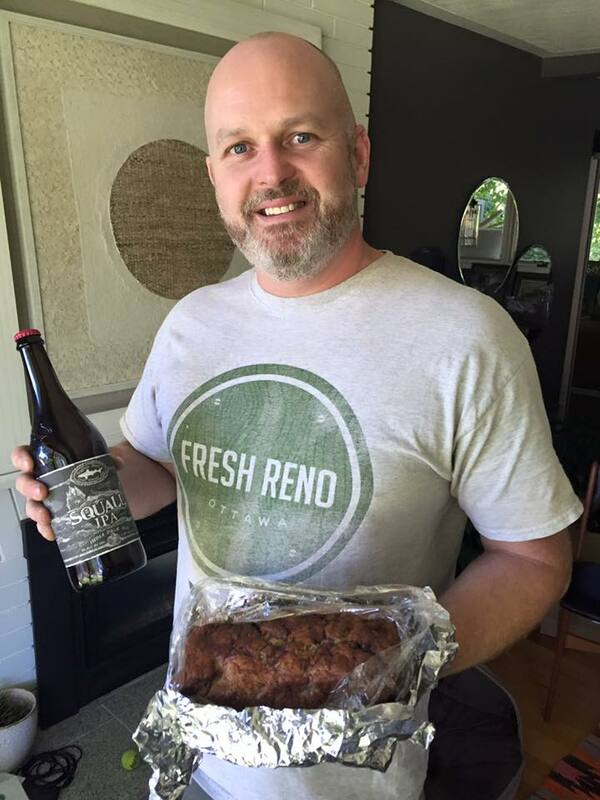 We ALWAYS appreciate home-baked goods. Sue thoroughly spoiled us. By day 10 the electrical, framing, drywall and mudding was done. 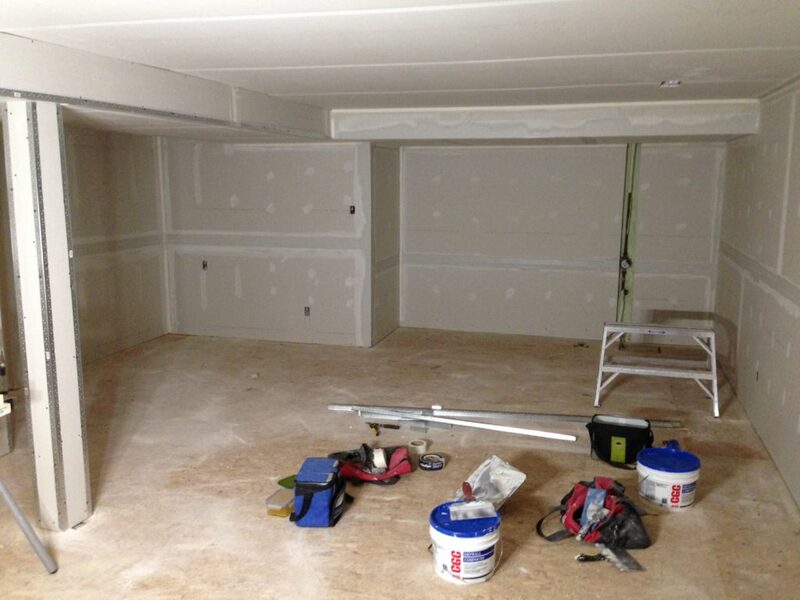 Day 10 by the numbers: 54 sheets of drywall, 500 feet of tape, 2 buckets of mud, and 176 feet of metal corner bead. 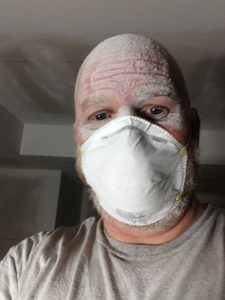 Sue and Benoit’s basement renovation day 12: Three and a half hours of constant sanding. Shoulder workout anyone? 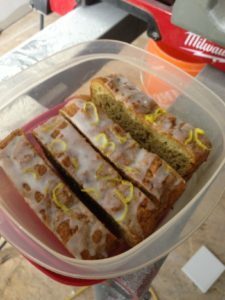 Day 13: Homemade zucchini bread with lemon drizzle. Thanks Sue!! 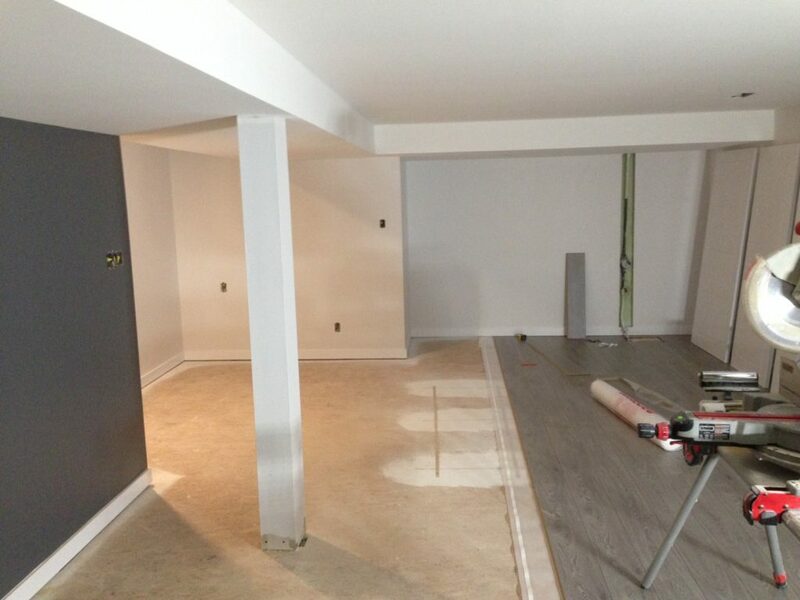 Day 15: The walls and ceiling are painted, and the laminate floor is going down. The floor is Grey Oak from the Timeless range. day 16: Built closet doors this morning from the reclaimed barn board from KJP Select Hardwoods. 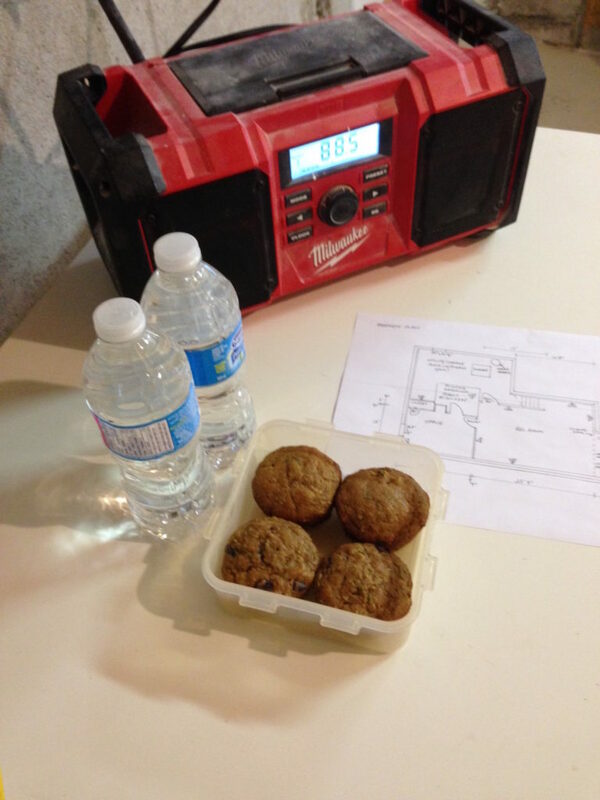 When you finish a reno, it’s Friday, and your happy clients give you beer and baked goods. 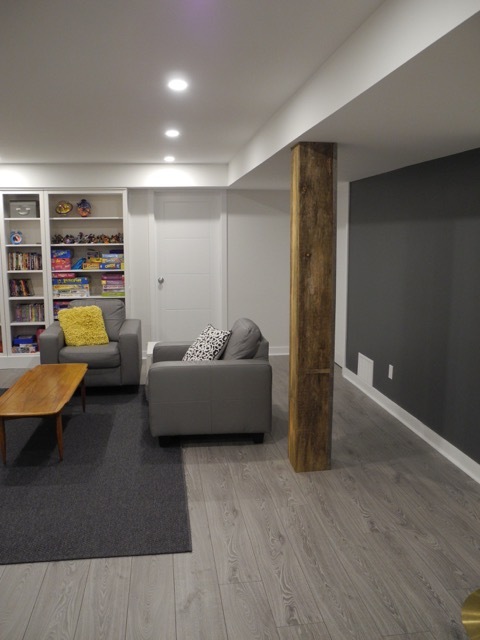 And the basement is done! 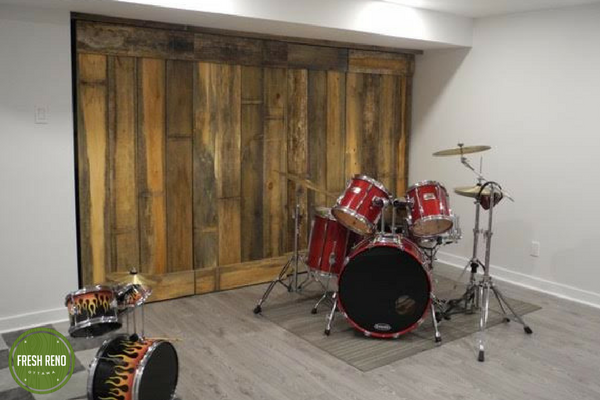 Sue and Benoit were kind enough to send these photos once they’d set up the basement. Enjoy!